Problem: This builder & property owner was getting ready to construct ninety-six new apartments, and needed a cost-effective and efficient way to heat and cool the building. Solution: We installed Hyper-Heat Mitsubishi Ductless systems for each of these apartments, varying from a single indoor head (studios) to three indoor heads (multi-bedrooms). Being the primary commercial and multi-residential HVAC contractor for Chinburg Builders, we take pride in offering our advice and direction to the leadership and management teams when it comes time to renovate or construct their new large-scale buildings. In general, we stick to our proven method of heating and cooling their Mill Buildings with gas-fired radiant heat (in concrete floors) paired with ductless air conditioning for each apartment. 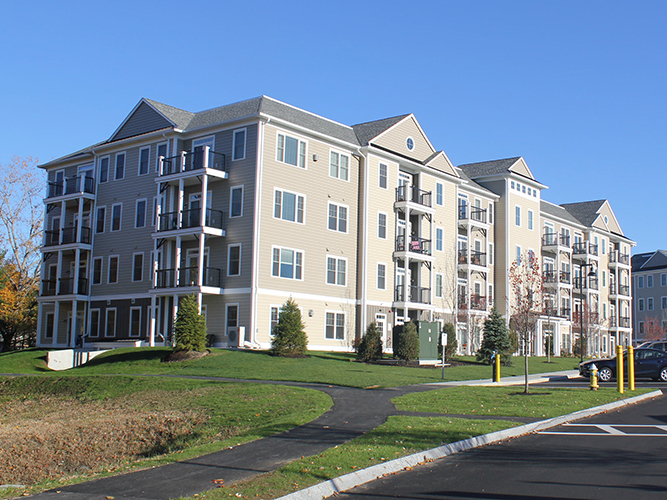 When the 27/31 Chestnut project hit our plan table, we were challenged to find an efficient way to heat and cool these newly constructed apartments, while cutting down on the front-end investment on a per-unit basis. We were able to do so by amending our “basic” design to a multi-zone hyper-heat design – by upgrading to Mitsubishi Electric ductless and doing away with the gas-fired boiler plant, the up-front cost was greatly reduced from an HVAC standpoint. The customer was able to use these savings elsewhere in the building, like on the insulation package, to make the structure even more energy efficient! 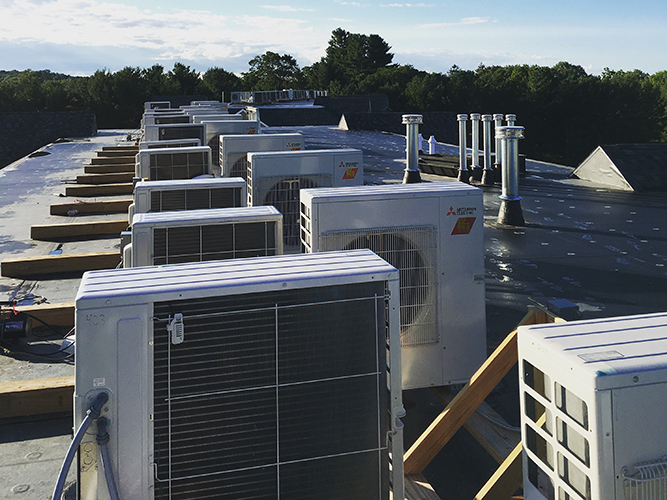 We believe this to be the first Seacoast property of this scale utilizing Mitsubishi Electric hyper-heat-pumps and ZERO secondary or back-up heat sources.